Lately I've been insanely obssessed with my new black beanie with cute little ears from Sportsgirl. 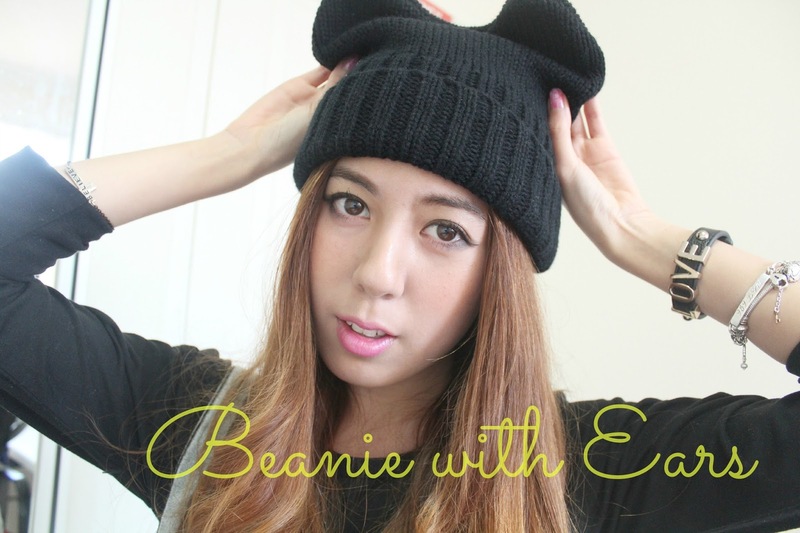 This beanie is a winter essential for me and I've been wearing it 24/7! It's so soft and keeps me warm and protected from the cold during the day and night. I actually had a little encounter with the hat version of this last year during my visit at Hong Kong but I felt that the hat version was just a bit too cute to wear in Sydney. But I am totally feeling the beanie version!!! I am in love with the graphic tee, grungy chilled kinda look lately, so I matched the beanie with my h&m overalls and a cropped statement tee. The denim overalls have been in my closet untouched for a good old 2 years because I just never had the opportunity to wear them. Since overalls are back in trend now I'm probably going to be sporting them alot. The statement PINK t-shirt is one of my favourite tops because it includes both my favourite colour pink and black. The top used to be just a normal t-shirt but I decided to crop it because crop tops are easier to match with things that are high-waisted. Hope you guys liked this outfit :)! What is a winter item that you have been obsessing about? and as per usual :) don't forget to hype my look on lookbook! Followed you two in bloglovin, hope you can follow back if you like my blog! cue beanie!!! :D great style you have! that is such a cute hat! love the ears too. Wow you look so gorgeous dear!